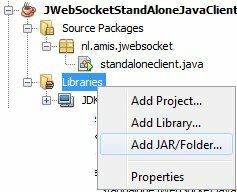 In a previous article, I have discussed the open source jWebSocket Server and a simple installation and configuration (https://technology.amis.nl/blog/14940/first-steps-with-jwebsocket-open-source-java-framework-for-websockets-installation-and-running-samples). 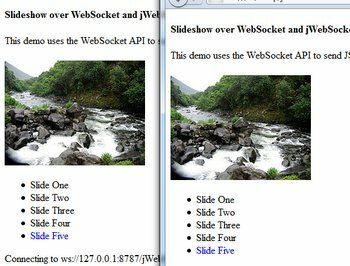 Subsequently, I have shown the implementation of a web client for a synchronized Slideshow application, where WebSocket communication is used to perform Client 2 Client push (https://technology.amis.nl/blog/14949/push-based-synchronized-slideshow-web-application-implemented-using-websockets-and-jwebsocket-server-the-open-source-java-websocket-server). 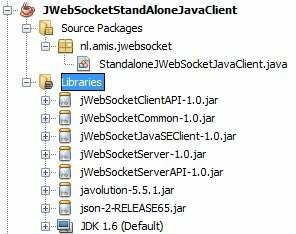 In a third article I have explained how jWebSocket server can be integrated with a Java application that can start the server and interact with it (https://technology.amis.nl/blog/14973/implementing-a-java-server-side-component-for-jwebsocket-server-for-websocket-interaction-with-web-clients). 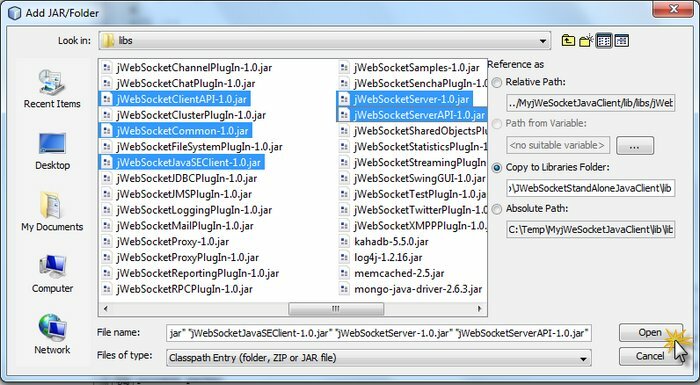 Finally in this article I demonstrate how a stand alone Java Client can connect to a ‘remote’ jWebSocket server and open WebSocket interactions with it. 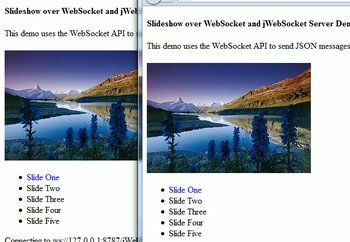 The functionality realized in this article is a simple Java application that listens to slide selection events as pushed from the clients to the WebSocket and that also pushes slide change instructions over WebSockets to the clients. 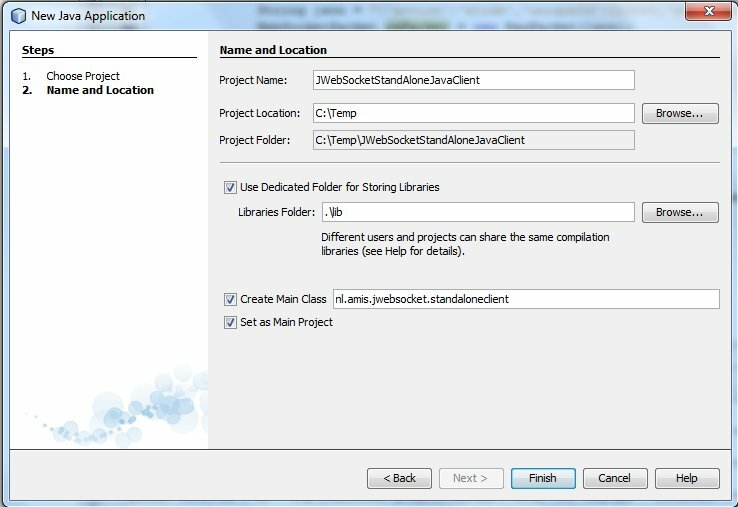 After starting the jWebSocket server and opening one or more clients, running the Java Application created in this article will guide all clients through a sequence of slides. There is a lot going on here. A new BaseTokenClient is instantiated. The class itself is added as listener to the client. 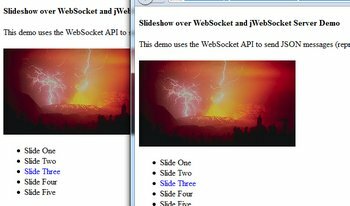 Subsequently, a connection is opened to the stand alone, potentially remote jWebSocket server at the URL ws://localhost:8787/jWebSocket. When the connection has been made, the client is logged in to. From that moment on, the callback methods are triggered when messages are received, as we will see a little further on. Additionally, a loop is entered where 30 times a 3 second delay is created followed by an instruction to all connected clients to progress to the slide with a number from 1-5. This instruction is sent through the call to sendPacket(). Download the sources discussed in this article: JWebSocketStandAloneJavaClient.zip.